Unemployment rates within the euro area vary dramatically from one country to the next. Unemployment in the eurozone rose in September to a record high of 11.6%, the European Commission's Eurostat statistics agency reported Wednesday.. The figure was a slight increase from 11.5% in August. The increase is more significant compared to September 2011, when the unemployment rate was 10.3%. 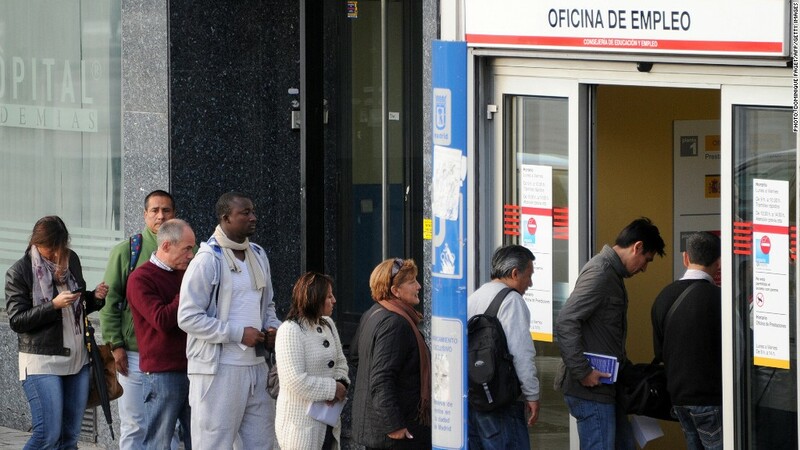 The number of unemployed people in the 17 nations of the area, which share the euro currency, rose by 146,000 to 18.49 million. Unemployment rates within the euro area vary dramatically from one country to the next. Spain, with its sluggish economy, has the highest unemployment rate of 25.8%, followed by Greece at 25.1% and Portugal at 15.7%. On the other side of the spectrum, Austria has the lowest rate at 4.4%, followed by Luxembourg at 5.2%, and Germany and the Netherlands at 5.4%. The U.S. unemployment rate stood at 7.8% for September.